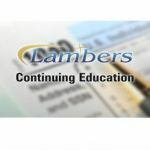 Capital Transactions – Lambers, Inc. This course updates the taxable issues regarding Capital Transactions for the current Taxable year. Topics covered include General Rules regarding Capital Transactions, Basis Computations, Like Kind Exchanges, Capital Assets, Section 1231 Assets and Recapture Rules.